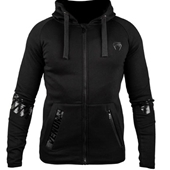 The Venum Infinity Hoody delivers a perfect athletic fit for the strong and powerful woman. 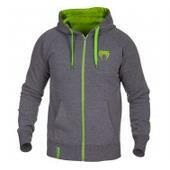 The unique design provides a great sporty and stylish look, fit for intense training or as a casual lifestyle piece. 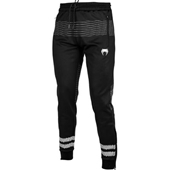 The lightweight comfortable feel, will allow you to wear it all year. Made with a quality blend of Cotton and Polyester, the Venum Infinity Hoody provides all the necessary comfort no matter what season you’re in. To better face the colder weather, it can easily be layered under a jacket. 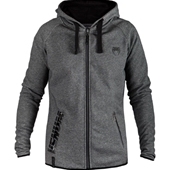 The hoody’s drawstrings allows adjustable coverage, while the full zipper feature keeps your body warm and the cold out. 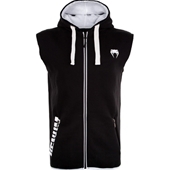 Make your way to and from the gym, while keeping your body temperature under infinite control. 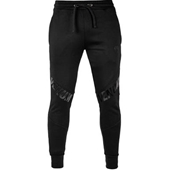 Technical Features: Mixing sportswear 80% Cotton and 20% Polyester for comfort. A sweatshirt to wear all year! Athletic cut for greater freedom of movement. Ribbed cuffs and waist for a perfect fit. Side pockets to keep your hands warm and store your favorite items.